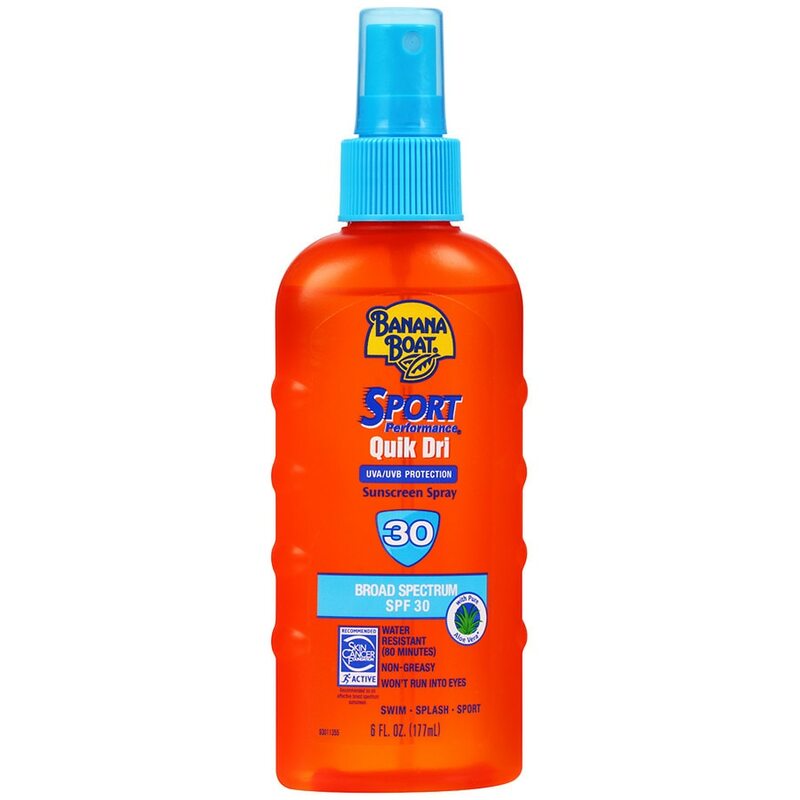 You don't have to stop playing for long with Banana Boat® Sport Performance® Quik Dri Spray Sunscreen SPF 30. The spray is clear and practically dries before you can say, "Go!" Reapply at frequent intervals and after swimming or towel drying. Ask a doctor before use on children under six months of age. When using this product do not get into eyes. If contact occurs, rinse thoroughly with water. Sun protection measures: Spending time in the sun increases your risk of skin cancer and early skin aging. To decrease this risk, regularly use a sunscreen with a Broad Spectrum SPF value of 15 or higher and other sun protection measures including: limit time in the sun, especially from 10 a.m. -2 p.m. and wear long-sleeved shirts, pants, hats and sunglasses. Children under 6 months: Ask a doctor. For use on skin only.